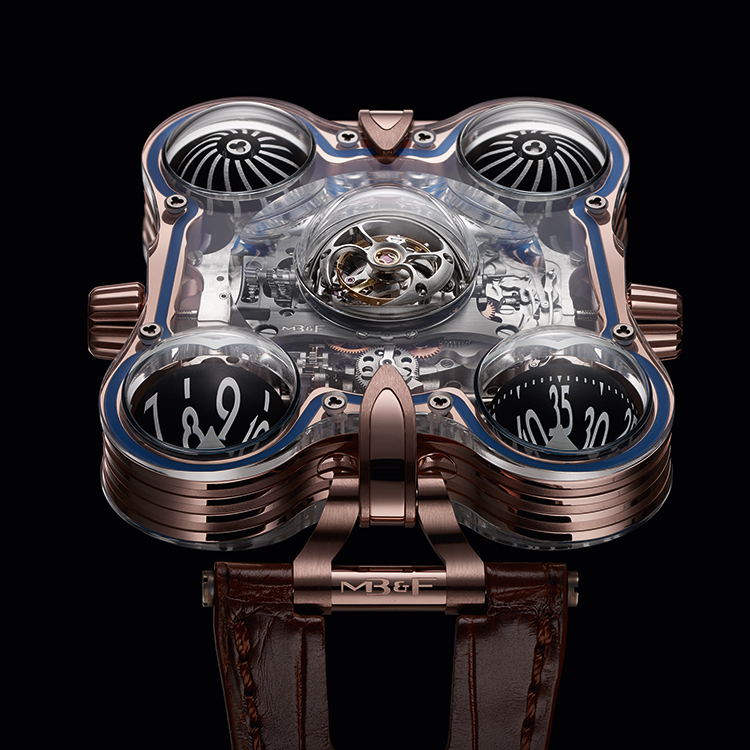 From space pirates to optical prisms, AWM marvels at two futuristic timepieces from MB&F which will push even the greatest space explorer’s imagination to its limits. 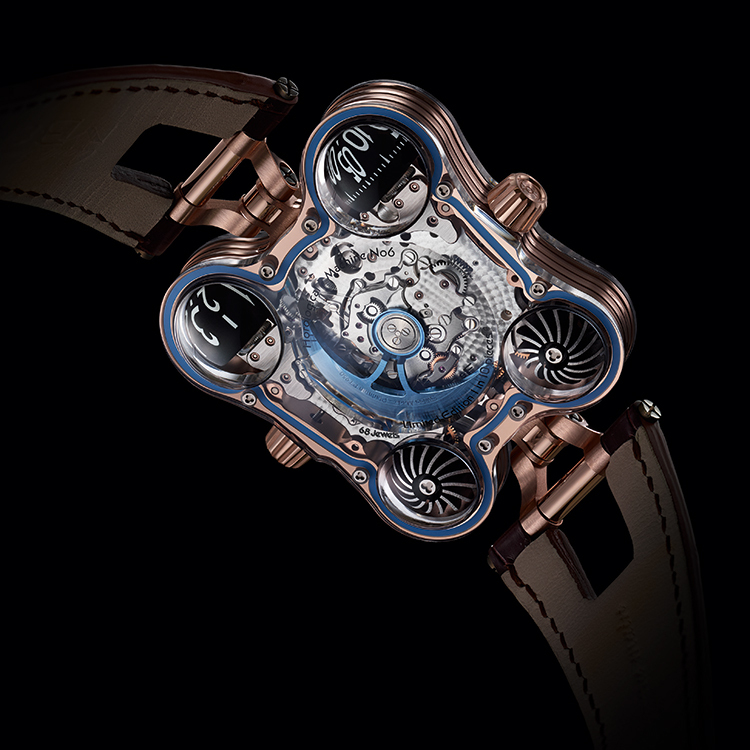 Horological Machine N°6 SV adds an extra three-dimensional layer to the biomorphic beauty of the HM6 ‘Space Pirate’. 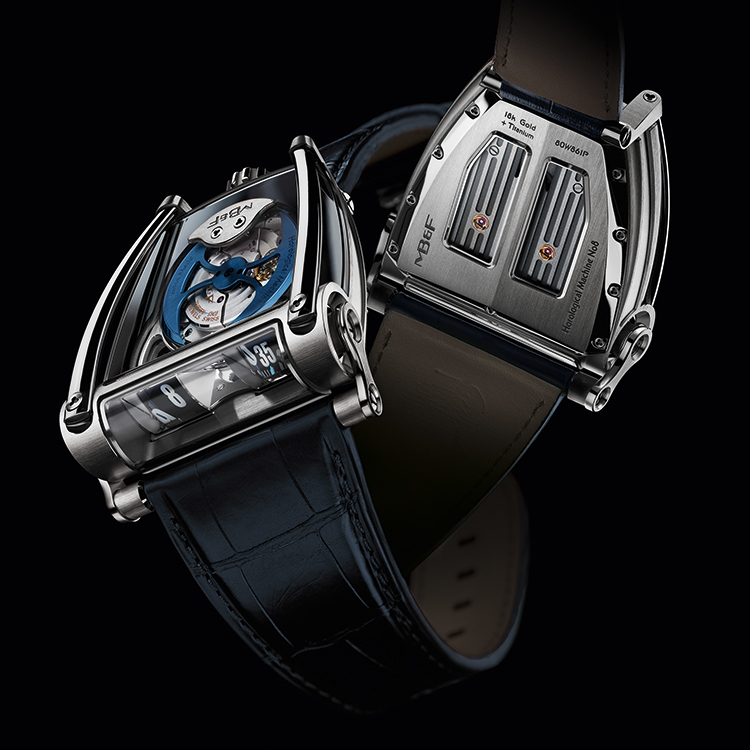 The complex curves of two transparent sapphire crystal plates sandwich a precious metal “streamliner” case band, creating two horological amphitheatres dedicated to the appreciation of exquisite, hand-nished micro engineering. The metal case band is distinguished by horizontal lines reminiscent of the American Greyhound “Streamliner” buses of the 1950s and ’60s. At the front, two spherical domes rotate vertically, respectively displaying hours and minutes in large, highly legible numerals. 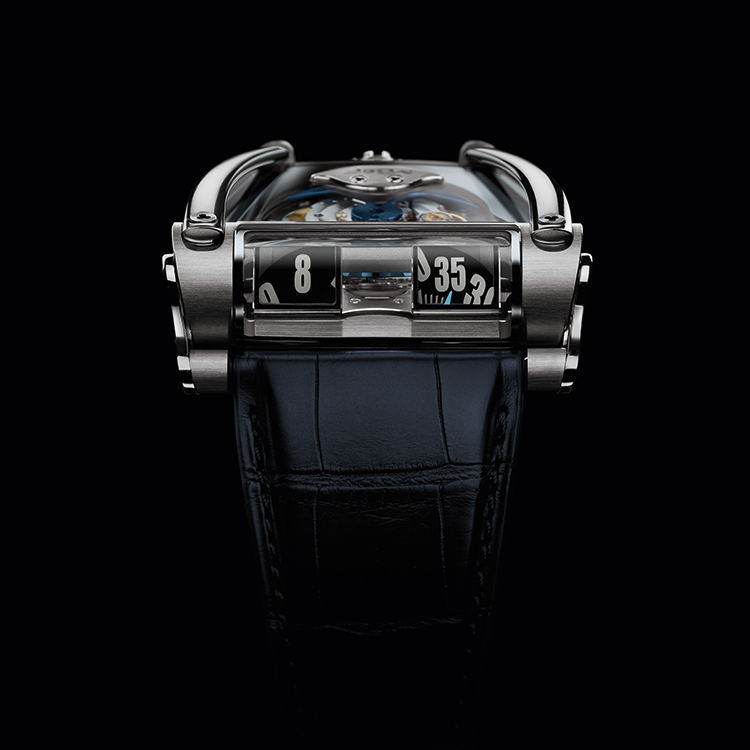 A central dome houses a 60-second flying tourbillon, the precision regulator of the HM6 Engine. 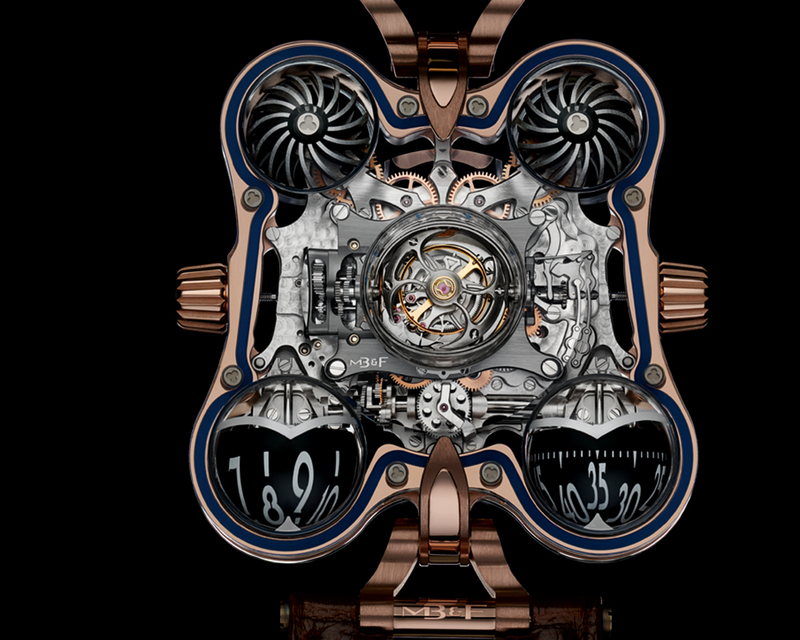 in red gold/sapphire crystal, priced at £350,000 GBP. HM8 Can-Am features a curvaceous yet angular case, with dual optical prisms vertically displaying bi-directional jumping hours and trailing minutes, while the distinctive battle-axe winding rotor is visible on top. But the real star of HM8 is its Can-Am inspired polished “roll bars” majestically sweeping from the front of the Machine down to the beguiling tapered back. 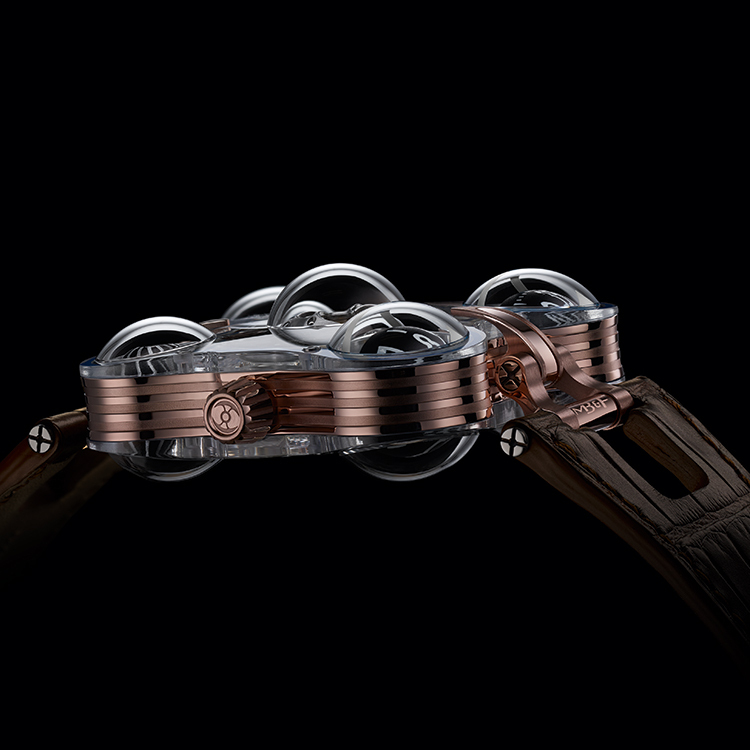 HM8’s Engine sits in full view under a nearly invisible sapphire crystal engine cover and generous use of sapphire crystal allows unfettered visual access to the movement while its transparency backlights the time displays. Light also charges the Super-LumiNova numerals on the hour and minute discs for maximum legibility by night. 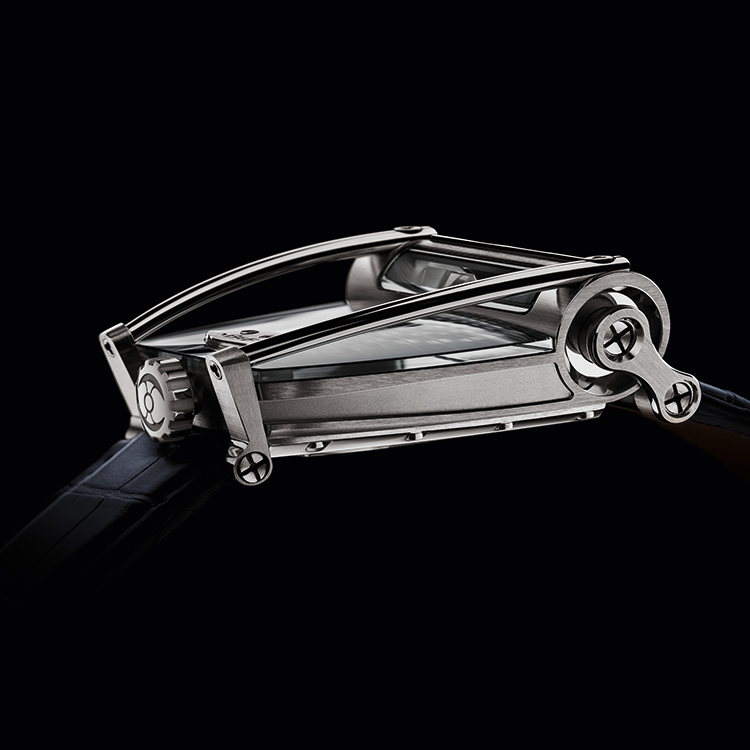 HM8 Can-Am launches in two versions: 18K white gold/titanium and 18K red gold/titanium priced at £78,000 GBP.